What explains the revolt against the International Criminal Court and the resilience of humanitarian intervention? Steven C. Roach explores the meaning of affective values in International Relations. Anger, fear, and distrust continue to drive today’s divisive politics in many developed countries. In recent months, the intensity of these emotions has reached new heights. In the US, for example, the US presidential candidate Donald J. Trump has exploited the fear and anger of many Americans to great effect. Indeed, for many, his tactics have not only further polarized the electorate, but also threatened the very foundations of democratic stability in the United States. Such divisiveness also characterizes Africa’s recent revolt against the International Criminal Court (ICC), in which three African states have declared their intention to withdraw from the ICC (South Africa, Burundi, and Gambia). In these cases, pent-up hostility and perceptions of unfair policies seem to signify an irrational and irrepressible political force. But are these emotions inherently irrational? Or are they part of our inability to cultivate the ideas and values designed to promote public goods and norms? I believe the growing political instability associated with these emotions reflects the larger failure to internalize the values that help build and reinforce norms. In effect, the very ignorance that now drives the hostile emotions in politics (and international relations) also symptomizes the need to theorize about the underlying challenges of instituting affective values. 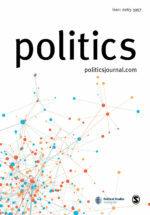 In my Politics article “Affective Values in International Relations: Theorizing the Emotional Action and the Value of Resilience” which appears in the special section on Resurrecting IR Theory, I analyze the meaning of affective values in relation to key trends and norms in the discipline. 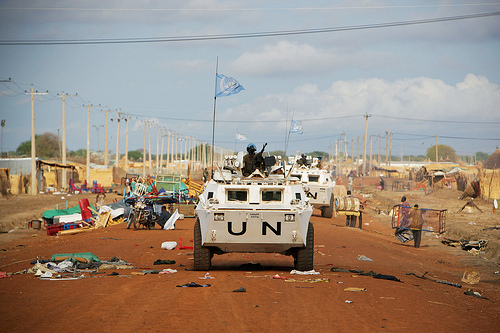 One value I examine in particular is the resilience of humanitarian intervention (or R2P), which has rapidly emerged as a prominent, albeit contested norm of human security in international politics. Here, I show how resilience – a valued part of the UN Secretary-General Ban Ki-moon’s preventive agenda of R2P – embodies the feelings, hopes, and beliefs of the R2P norm. My argument is that affective values involve complex political tensions that expose the instability and stability of norms. I conceive these tensions in terms of the negative (or undesired) and positive (desired) qualities of emotion, which arise from an unconscious striving to overcome these tensions. My notion of striving applies to a wide range of actors, and is meant to signify the movement (resonances) of thinking (affect), or what I call an open-ended and ceaseless capacity to assert control over one’s circumstances/local environment. For example, I theorize how the effects of promoting and resisting the authority of international criminal courts reflect the political tensions between peace and justice (between the conflicting emotions of vengeance and forgiveness) and the various ways in which punishment/retribution can detract from reconciliation. My aim, then, is to move beyond the normative approaches that treat emotion as universal, evaluative judgments – or as judgments governed by the political ideals (of freedom and equality) that help shape and reinforce our commitments/attachments to public goods. Political emotions, in other words, may be judgments about something (where shame, for instance, is about one’s failure of inadequacy); but the effects of emotion differ across cultures and states, making it difficult to pinpoint their effects. This difficulty suggests that the volatility of thought and feelings may well express a biological response of fear for others, or a political affect in which our bodily sensations and feelings of events engender effects (uncertainty and longing) that help intensify the social bonds/attachments of peoples in relation to others. Drawing on Gilles Deleuze’s and Felix Guattari’s relational social ontology, therefore, I take political affects as social assemblages of bodies or functional structures. As some IR scholars have shown, resistance movements symbolize the intensity or circulation of affects across borders, which not only seems to take us beyond the boundaries of individual subjectivity, but also helps, more concretely, to explain the spread of movements across states and cultures (e.g. The Arab Spring). Such an interpretation reflects how collective misunderstandings and miscommunications can heighten emotions and resistance on a global scale (via social media). I contend that political affect can also allow us to reimagine a new pollical space of (harmed) particular bodies, or rather, re-present and relocate the heightened awareness (subjectify) among actors of their obligations/agendas. In this sense, politics is about affecting and being affected by others as well as resituating/registering the subjective knowledge of the ceaseless efforts of a multiplicity of agents to assert control over their surroundings. It suggests that emotions not only move us, but also produce effects that are providing new political spaces in which to re-imagine and re-present values. Steven C. Roach is Associate Professor of International Relations in the School of Interdisciplinary Global Studies at the University of South Florida-Tampa.